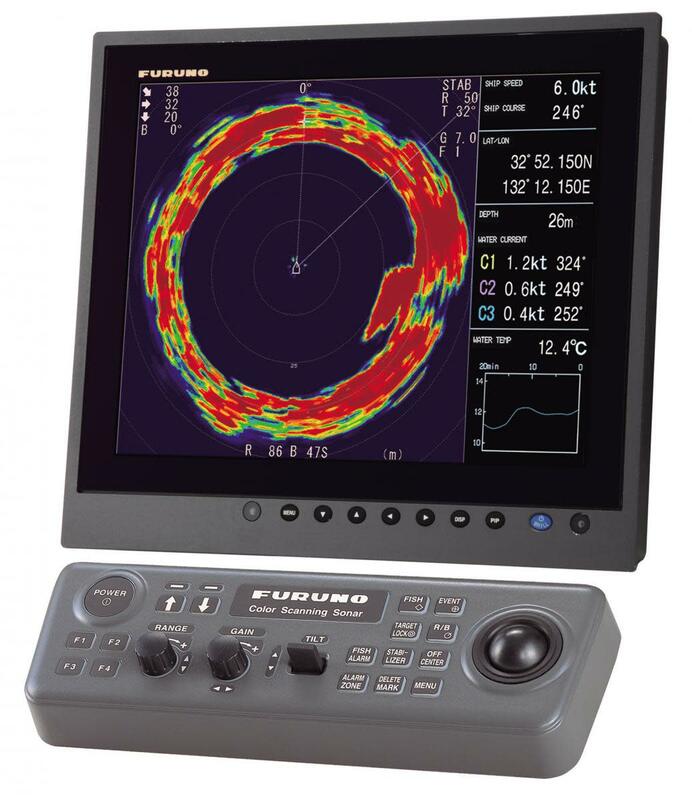 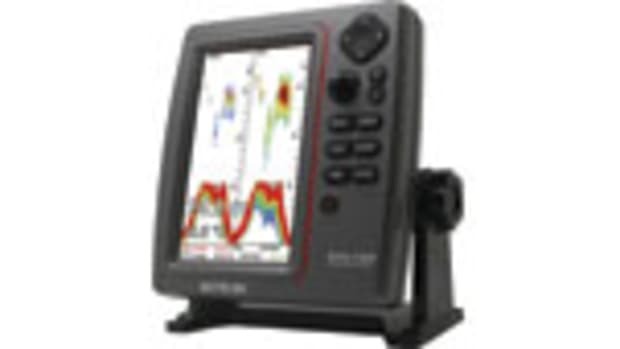 The Furuno CSH-8L Mk2 scanning sonar system is a tool designed for commercial fishermen that some hard-core anglers are adding to their new sportfishing boats. 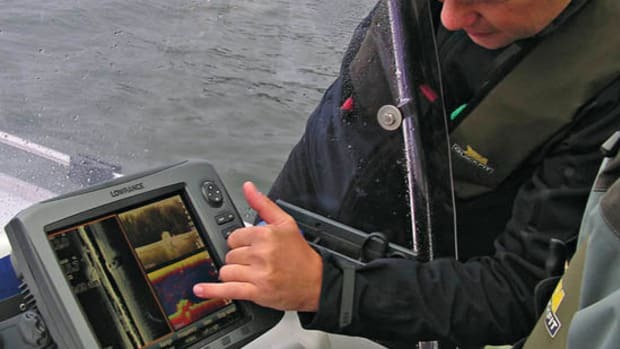 The system is a full-circle scanning sonar that uses a narrow 85-kilohertz beam to depict images of fish, bait schools, and changing water conditions around the boat. 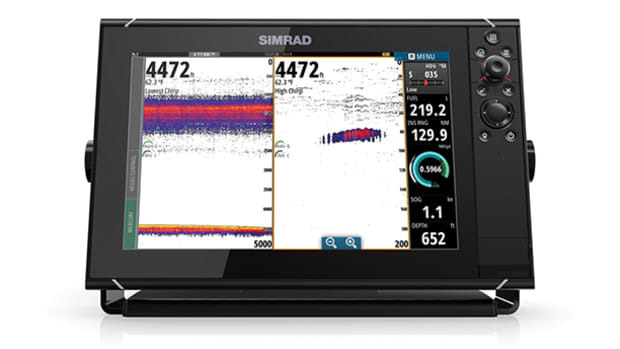 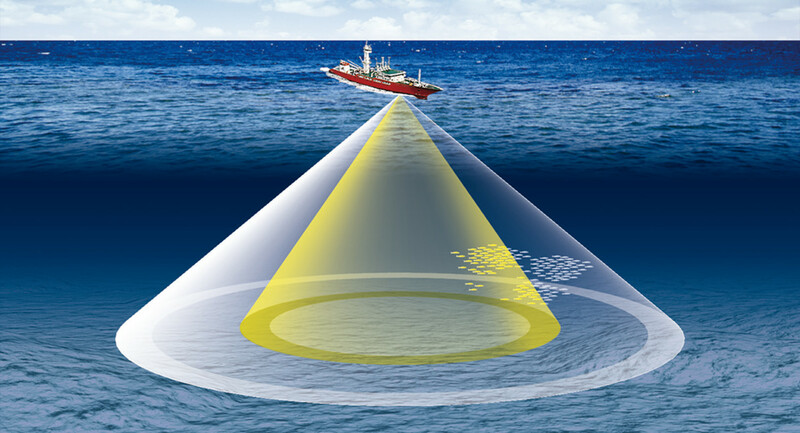 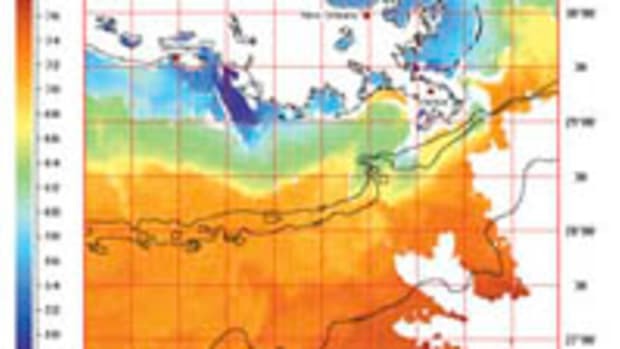 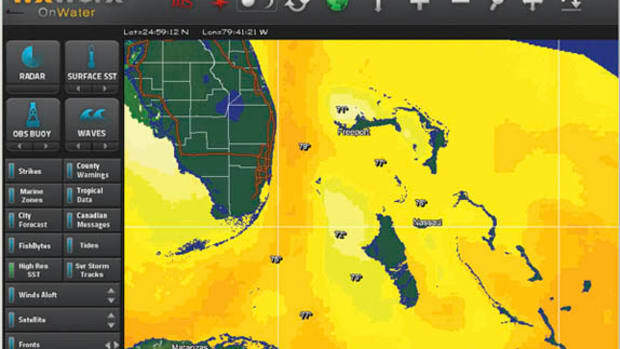 According to Furuno, bait is easily tracked, and fish targets are separated from the bottom on a 16-color display as the full 360-degree sweep of the sonar is updated about every half second when set to a range of 1,000 feet. 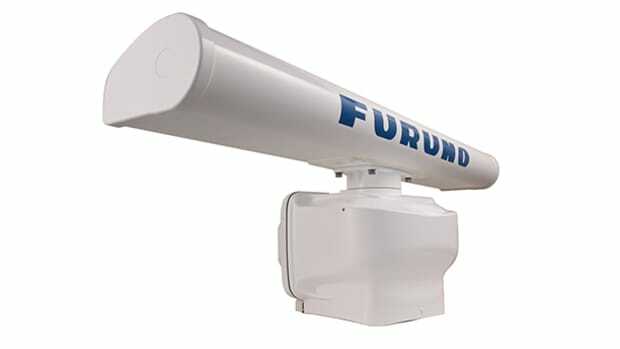 The transducer for the CSH-8L Mk2 has 14 layers of elements, each pointing in a slightly different direction to allow full coverage through the sweep without requiring rotating parts. 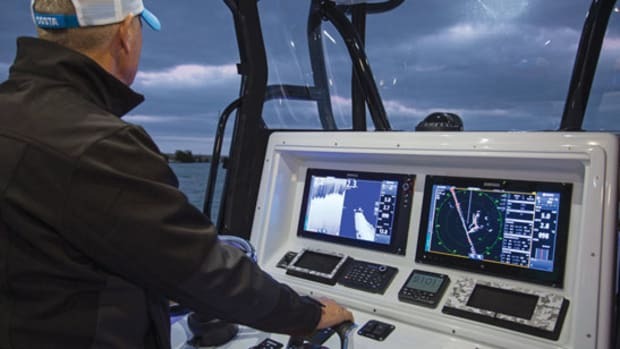 The black-box installation allows for flexibility and even placement of a second display and control station closer to the cockpit. 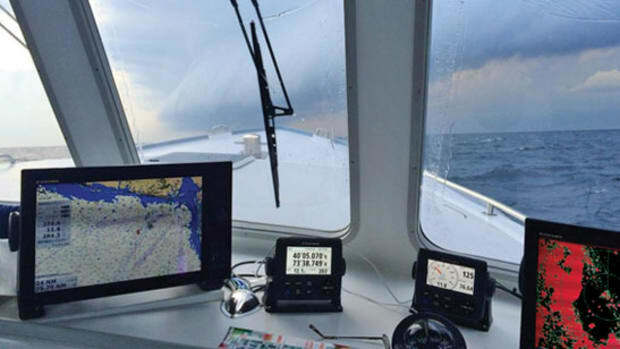 Furuno also points out that the instantaneous redraw and quick scan of the sonar allow anglers to track fish as they move around the boat and through the trolling spread. 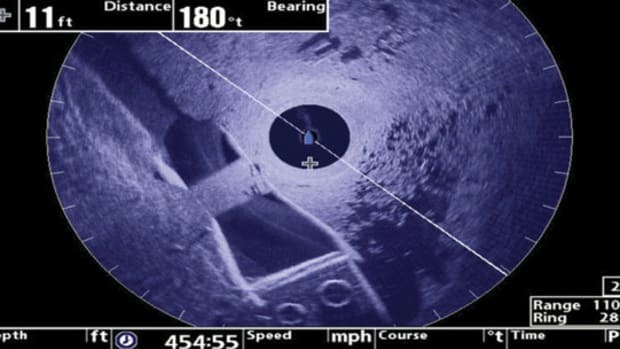 Anyone who has peered into an array of baits and wondered what’s happening beneath the surface may be interested in seeing what the commercial fishermen are looking at when they decide to close up their purse seines.